My thanks go out to Steve and Timi at MX Publishing for my copy of this book. Sherlock Holmes is forever! Holmes recently had a protégé, a young man named Richard Green. Green had been attending college. He has been away for a time when he suddenly commits suicide. It is revealed that Green actually worked for a secret government agency. As Holmes traces the reasons why Green would commit suicide, he comes upon Green’s pass to the project. Reporting to Mycroft’s successor, who goes by “M,” Holmes and Watson receive passes of their own and clearance to investigate. 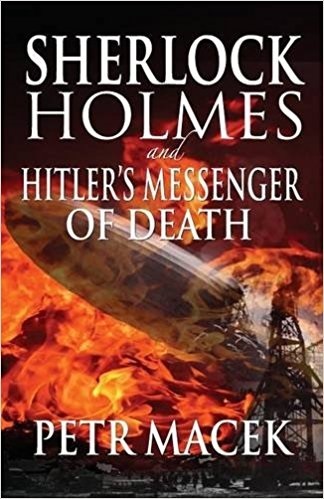 The story winds through a series of deadly encounters with Nazi agents. Holmes and Watson, accompanied by an agent of M known only as “James,” are captured and nearly killed several times over. Burning houses, speeding trains, auto chases and more bring our heroes and the Nazis closer and closer to a showdown. I give the book five stars! It rocks!